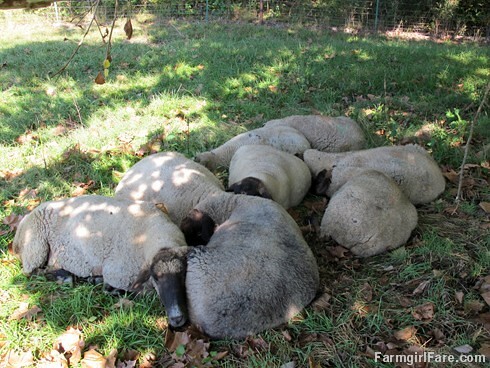 I love your photos, (I mean, sheep napping...what's not to love? ), but I miss your longer posts...your stories, descriptions of what's going on, and your unique point of view. We're listening. So cute cuddled together. Hope all of you are doing well. They are like clouds on the ground, adorable.